Paperback, hardcover and Kindle edition available on Amazon.com. Paperback and hardcover available at an independent bookstore near you. The Green Earth of old was long gone. The People printed their ships and fled the devastation to find another planet, a new home. But system after system, planet after planet, they discovered there were no other suitable homes in the cosmos. 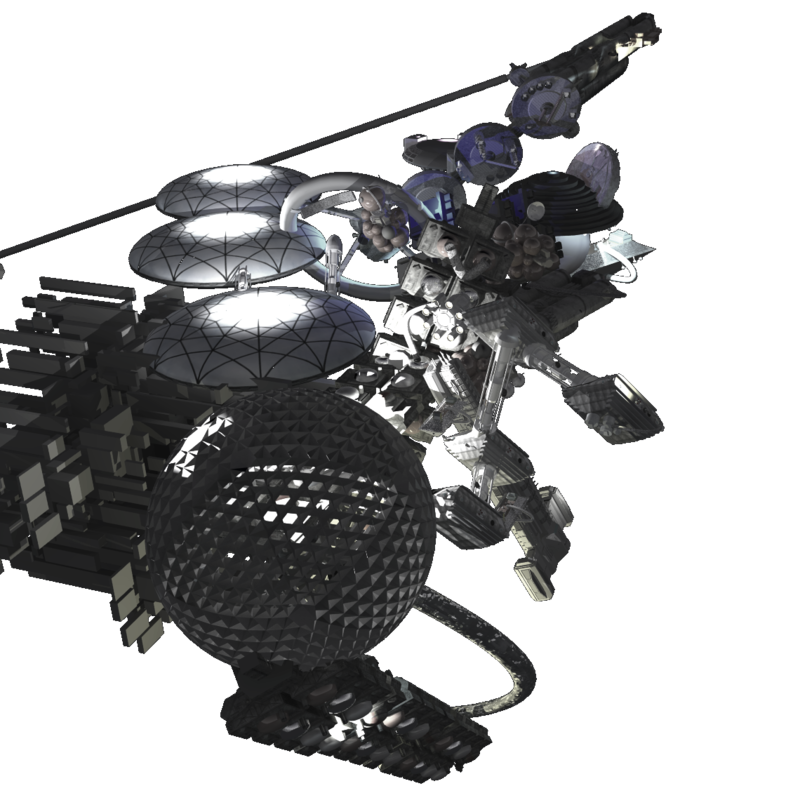 So they joined their ships together here at the edge of Nothing to form the Conglommora: a massive, stationary, ad-hoc, self-sufficient world hundreds of light-years out in deep space. Until a mysterious straggler from Dead Earth plummets them into a startling journey across the galaxy, to confront the past and threaten the future. Charlie Neylan and his son Alain thought their adventures were over, as they settled into the shape of their new lives on Conglommora. But things get complicated as Alain risks his life to find answers to the secrets of their world, and their very world gets a lot larger than anyone thought. The new hidden undersea base, Denisova, expanded their world. So much new to study, so much to see—but safely, hidden from their descendants. The good People of Conglommora couldn't reveal themselves without jeopardizing their future. They had to keep them isolated, alone. What was left of humanity was utterly alone. Until it wasn't. Sign up to get new short stories from Andy Hunt delivered right to your inbox, and be the first to get the latest new book in the series. “It was a real surprise that one of my favorite authors of software development books like ‘The Pragmatic Programmer’ and ‘Programming Ruby: A Pragmatic Programmer’s Guide’ is also a science fiction writer! 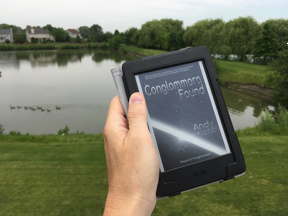 “In ‘Conglommora Found’, Andy Hunt gives us real sci-fi entertainment centered on our relationship with ourselves and the universe. We keep moving with rich details from the organic worlds of the past to the synthetic worlds of the future, from the dark and dense deeps of ocean to infinite space, a delightful narrative of where we are and at the same time wanting to go back to the other worlds to check what happens next. —Eustáquio “TaQ” Rangel, author of “Ruby-Conhecendo a Linguagem”, the first Ruby book published in Brazil. 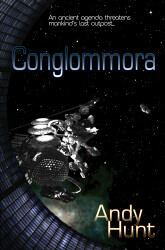 Andy Hunt talks about his new novel, Conglommora. “It’s the conglomeration of all the ships that left Earth. A generation or two ago, all the surviving ships connected each ship to one another. Now they’re sitting here at the edge of the void in empty space. Not in orbit; there are no system or planets. “But between the printers and reclaimers, each individual ship is fully independent. That’s how they were able to make the journey from Dead Earth in the first place without any fast-than-light (FTL) drives. Tell us about the main character, Charlie. “The novel is told first-person style, from the point of view of Charlie. Now Charlie is far from being an omniscient voice, in fact, he’s a little bit unreliable as narrators go. He doesn’t necessarily know everything that’s going on in Conglommora. “Charlie starts of as sort of a withdrawn type, almost like Melville’s Bartleby the Scrivener. He gets drawn progressively deeper into a series of adventures, and slowly awakens to the worlds around him. But Arty, the artificial intelligence, knows everything, right? The sections of Conglommora that we see are pretty cool. On e reviewer called the environment “captivating.” Can we see more of this world? So will there be more books? “At least two more novels in this series are planned. Conglommora Found is already underway, and will be followed by Conglommora Defense. I’m frankly amazed at all of the information packed into this book. The descriptions of daily life are detailed. The adaptations people have made are explained… Andy Hunt takes the future and turns it into an enchanting story. Lots of wit here too, with themes of family, friendship, isolation and connection, religion, science—all woven into the book's mystery/adventure. I loved it! The concept is rather unique, and I found it a fun read. If you like science fiction, I think you'll like this book. I have read a lot of different types of science fiction, and this book is unique. I really liked the characters and twists and turns, and loved the ending. I found the environment of Conglommera captivating. Telling the whole story from Charlie’s perspective really pulled me in. Most series bore me, to be honest, but I feel you left the door open for unexpected dramatic turns. I look forward to reading more!